Keep your garden blooming all season long with hardy perennials and annuals. Annuals can extend the life of your garden well into November. Early spring bulbs such as snowdrops, daffodils, and scilla, will light up your garden in those early Spring months. 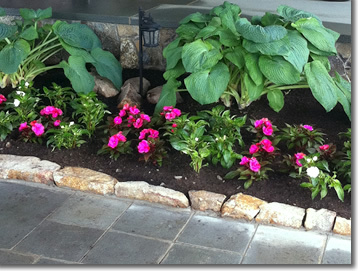 Your garden will be designed specifically for you and your property's diverse needs. Once a design is in place the installation can take place all at once or over multiple seasons to make even large landscape projects work with any budget.